CLUJ-NAPOCA, Romania — Another financial quarter meant another financial hit for Boeing, which disclosed $426 million in cost overruns to the KC-46 tanker program during an earnings call Wednesday. The newest charge brings Boeing up to $3.4 billion in pretax overruns on the program, and — due to its fixed-price contract with the U.S. Air Force — the company is required to foot the bill. The price growth was attributed to delays in the certification process as well as “higher estimated costs” for incorporating needed modifications to six flight test and two early-build aircraft. After tax, the charges come down to about $334 million, said Boeing CEO Dennis Muilenburg during the July 25 earnings call. 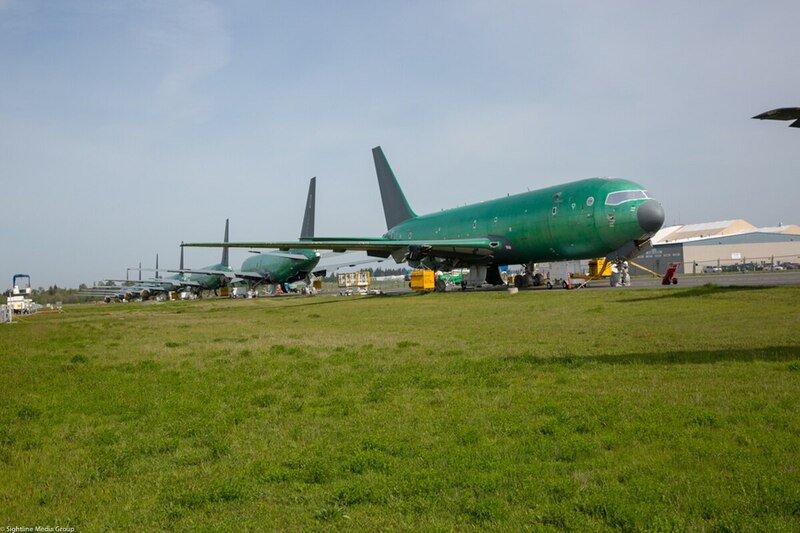 Now that the flight testing needed for first delivery is complete and the final configuration of each KC-46 has been defined, Boeing can move ahead on wrapping up the manufacture of the first eight aircraft, Muilenburg said. “While there is still a lot of work ahead of us, we now have a very clear line of sight what is needed to deliver these highly mission-capable aircraft to our customers,” he said. The Air Force plans to buy 179 KC-46s, with the first 18 aircraft under a contractual obligation to be delivered in October. Boeing will likely miss that “required assets available” deadline because the earliest it can deliver the first tanker is October, and the Air Force is not capable of accepting 18 aircraft at a time. However, it is unclear whether Boeing will weather another financial penalty should that happen. Although Boeing has incurred massive costs over the KC-46’s development, which was capped at $4.9 billion, Muilenburg said Wednesday that the company “remain[s] confident in the long-term value of this franchise” due to a projected program that will number hundreds of planes, as well as associated training and follow-on support.